A senior SNP politician has defended an international trip paid for by a regime accused of war crimes and human rights abuses including the abduction and disappearance of dissidents. 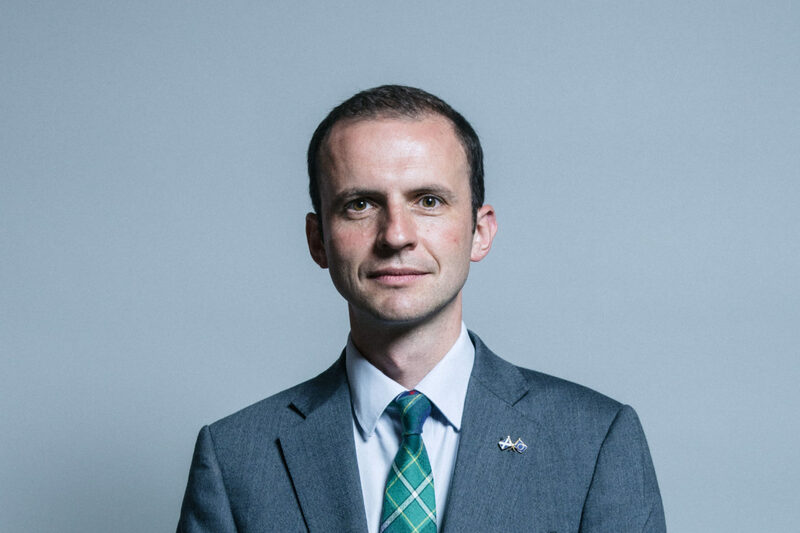 Stephen Gethins MP was criticised by human rights groups for accepting an expenses-paid trip from the United Arab Emirates (UAE) earlier this year. One organisation described his visit as “disgraceful”. The UAE has been widely condemned after it emerged that British student, Matthew Hedges, was jailed for life for spying amid claims of an unfair trial – although it emerged on 26 November that he had been pardoned and released. In recent years the UAE has been accused of authoritarianism amid claims of war crimes in Yemen, the exploitation of workers and the abduction and ‘disappearing’ of people who criticised the authorities. Gethins is the SNP’s foreign affairs spokesperson at Westminster. He was the only Scots politician among a group of MPs who visited UAE earlier this year. The trip was paid for by the UAE’s Ministry of Foreign Affairs. Tory MPs, David Jones and Leo Docherty, were among the all-party group at Westminster invited. Gethins’ travel costs and accommodation amounting to £3,000 were covered by the UAE. He said the purpose of the visit was to “attend the World Government Summit, meet with government ministers, members of the Federal National Council and senior business figures”. But human rights groups said that MPs should not have accepted the UAE’s offer in light of allegations of gross human rights violations. A spokesman for the International Campaign for Freedom in the UAE, said: “It is disgraceful that Stephen Gethins MP considers it appropriate to accept a hospitality package from an authoritarian regime who routinely violates the basic rights of those within its borders. “Not so far from where he was no doubt being lavished upon by Emirati officials, scores of academics, students and human rights activists were languishing in jail – condemned for daring to call out repression in their country. He added: “As Mr Gethins was enjoying his caviar on toast at his five-star hotel, did he spare a thought for Ahmed Mansoor – an award-winning rights activist serving a ten-year sentence for supposedly ‘defaming’ the UAE on social media? Andrew Smith of Campaign Against Arms Trade also condemned the trip. “MPs should not be accepting hospitality from the Emirate regime or any other human rights abusers,” he said. However, the SNP strongly defended Gethin’s trip and said it was used to question the UAE over alleged human rights abuses. “SNP foreign affairs spokesperson, Stephen Gethins, used this cross-party delegation to raise the SNP’s serious concerns about the UAE’s actions in Yemen directly with Ministers,” an SNP spokesman said. “The SNP has long-campaigned against the devastating war in Yemen and will continue to use every avenue available to challenge human rights abuses. The UK government must end its arms sale to these regimes, and join us in condemning the life sentence handed down to Mr Hedges,” the spokesman added. In August, investigators with the United Nations said the UAE may have committed war crimes in Yemen due to airstrikes hitting funerals, weddings, hospitals and residential areas. Gethins has been critical of the Saudi-led coalition’s actions in Yemen – which includes UAE – due to hundreds of claims of war crimes in recent years. But while Gethins has spoken out the SNP has been condemned for giving taxpayers’ money to arms firms in Scotland such as Raytheon, whose bombs have been linked to alleged war crimes in Yemen by a coalition of Arab nations led by Saudi Arabia and the UAE. Since the Tories were re-elected in May 2015 the UK has licensed £552 million worth of arms to UAE. Arms sales include aircraft, helicopters, guns and drones and over the past decade. Tory MP David Jones did not respond to our request for a comment. Last week The Ferret asked both the SNP and the above all party group for a list of all the MPs who visited the UAE this year, but neither obliged. Photo thanks to Chris McAndrew, CC BY 3.0. A version of this story was published by the Sunday Mail on 25 November 2018. This story was updated at 18.30 on 26th November to add the final paragraph.